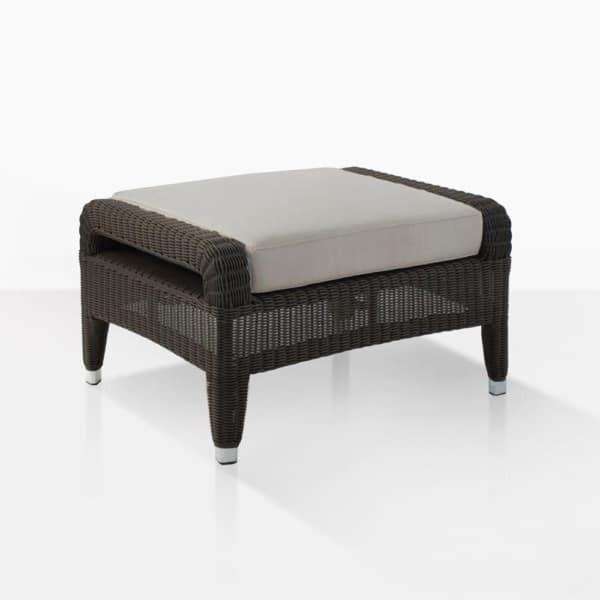 The Aaron Outdoor Wicker Ottoman is a classic staple for outdoor spaces. You can use it as a stand alone piece that works as a backless chair, or pair it with a relaxing chair for the perfect place to rest your legs. The powder coated aluminum frame is strong and durable and expertly wrapped with beautifully woven outdoor wicker. The frame is topped with a Sunbrella® cushion for just the right amount of comfort. The frame is designed to keep the ottoman in place as well as making this ottoman an attractive piece. W29" x D24" x H19"